2019 will mark Susan Barbierie's twenty ninth year of experience in the interior design profession. She has had the privilege of working on some of the finest homes and establishments in the tri-state area. While under the learning tutelage of some of the most well respected professionals in the field of Architecture and Design in New York City such as Naomi Leff & Associates, Peter Marino Architects & Associates, Cetra/Ruddy Architects, and as Senior Designer for Barbara Ostrom & Associates for nearly ten years, Susan worked on the homes of famous Hollywood directors and actors, world renowned fashion designers, music producers and fashion models, as well as championship winning professional athletes. She honed her craft working for the most demanding clientele and for the most discriminating of designers. Her credentials include a professional membership with the American Society of Interior Designers (ASID), and also certification with the National Council for Interior Design Qualification (NCIDQ). 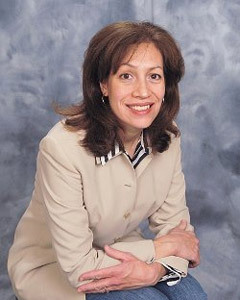 She has also achieved professional licensing, and certification in both New York and New Jersey. Her education includes a Bachelor of Fine Arts in Interior Design from the Fashion Institute of Technology in New York City. She was awarded the Best of Houzz badge for 2014, 2017 and 2018 for customer satisfaction, and also the Houzz Recommended Professional Badge. She has a passion for historic restoration and preservation, but enjoys all types of design projects both grand and minimal in scale. She can assist with green design choices that are sensitive to our environment whenever possible. The use of renewable resources and other innovative materials are also issues Susan feels strongly about. She wrote her college thesis on a conceptual marketplace for educating the design trades in the use of environmentally friendly products and practices. Today this concept of “GREEN AWARENESS” is everywhere. Part of her interest in historic restoration and preservation is, that by restoring and recycling older buildings for new uses we are fulfilling our obligation to both the planet and ourselves, as well as preserving important pieces of American History. Susan is a member of the Hawthorne Historical Society. She has served as Editor of NJ Inspire for ASID, and has previously held a co-chair position on the ASID-CEU committee, furthering her commitment to the continuing education of interior designers. Susan also frequently contributes articles and design advice to “Ask the Designer” of the Star Ledger Homefinder section, and also to "Designed for Living" of the Bergen Record - Home Section. Her work has also been featured in NJ Home, Bergen Magazine, 201 Magazine, Design NJ, Traditional Home, Wayne Magazine, The Bergen Record and The Star Ledger. Susan has donated time to the Volunteer Center of Bergen County New Jersey, the Wayne Junior League, the Spruce it Up Program sponsored by ASID, and has also contributed to the John Theurer Cancer Center, the Heart & Vascular Hospital, and the Emergency Trauma Department at Hackensack University Medical Center as one of the many top designers who has participated in the DESIGNER SHOWHOUSES OF NEW JERSEY in Saddle River.